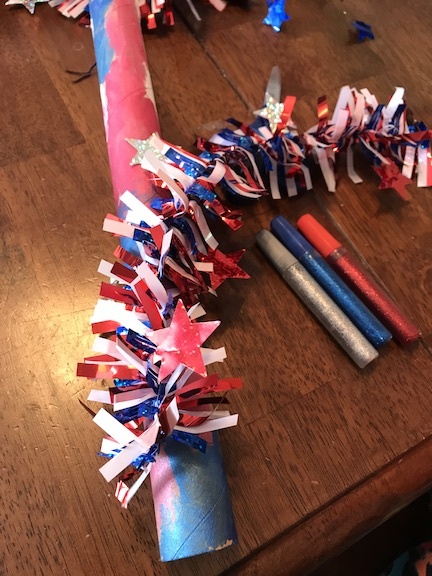 My kids want to have a 4th of July parade to celebrate “America Time.” So I thought it would be cute to make batons for them to carry and twirl. 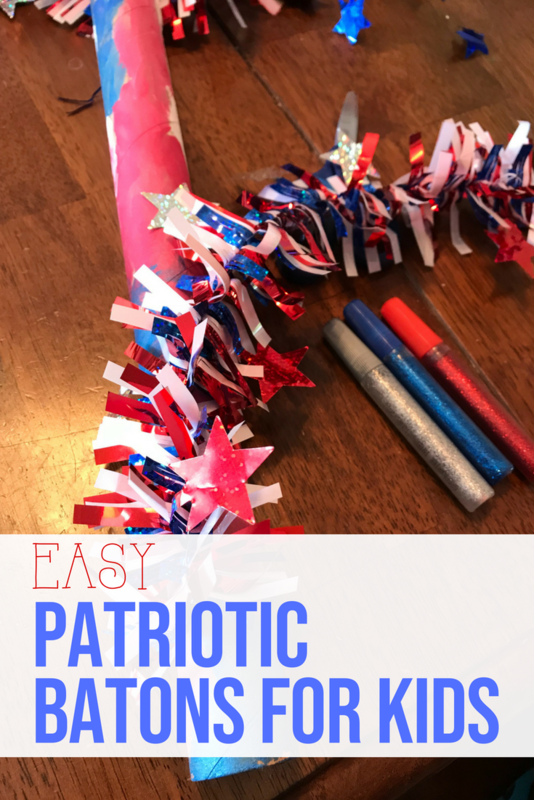 The patriotic batons are easy and fun to make. The kids had a blast making them and love playing with them. June’s theme is patriotic. Each blogger chooses their own craft to make as long as it shines and is patriotic themed. If you’d like to participate next month, you can request to join our Bling on the Crafts Facebook group. Next month’s theme is Back to School! 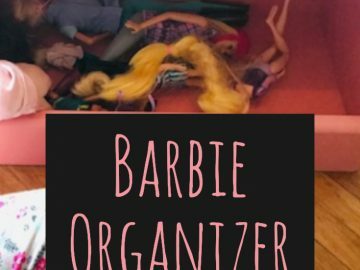 Now let’s see all of those glittery, shiny, sparkly, or blinged out crafts! I have been keeping (my husband calls it hoarding) the empty vinyl rolls because I always knew I could use them for something. This is the perfect project for them. Start by painting the cardboard tube. 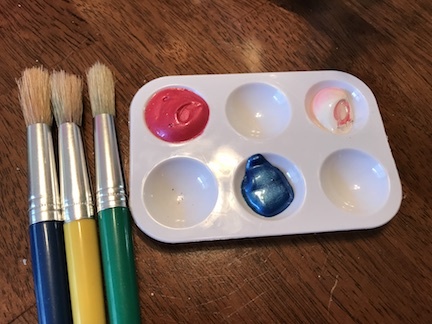 I gave the kids red, white, and blue paint and let them create. I held the tubes standing up as the kids painted them. We painted one day and decorated the next. Then I let the kids decide how they wanted to use the garland and the tinsel on their batons. 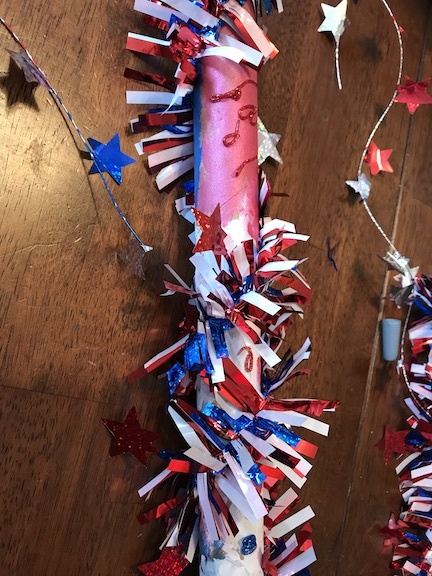 My son wanted to wrap the tinsel around his and add glitter. My daughter added the tinsel as streamers and wrapped the garland around it. I found the garland, the tinsel, and the glitter form the Dollar Tree. Now these have lots of glitter, sparkle and bling! I did use the hot glue gun to keep the garland & tinsel in place because the regular glue didn’t hold. The kids are all set for their parade. 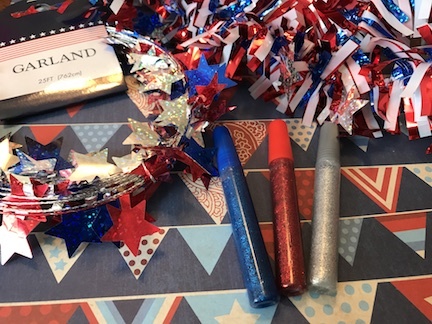 They are going to look so cute twirling their patriotic batons decked out in their red, white, and blue.